Karen Board Moran portrays Arabella H. Tucker, 2005. 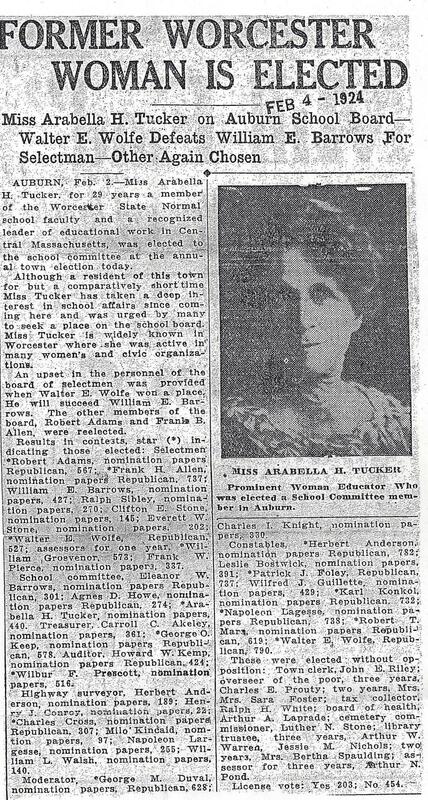 Arabella Hannah Tucker (15 April 1857-12 June 1936) was brought back to life to celebrate the women and especially teachers of Auburn, Massachusetts where Karen Board Moran taught for 16 years. 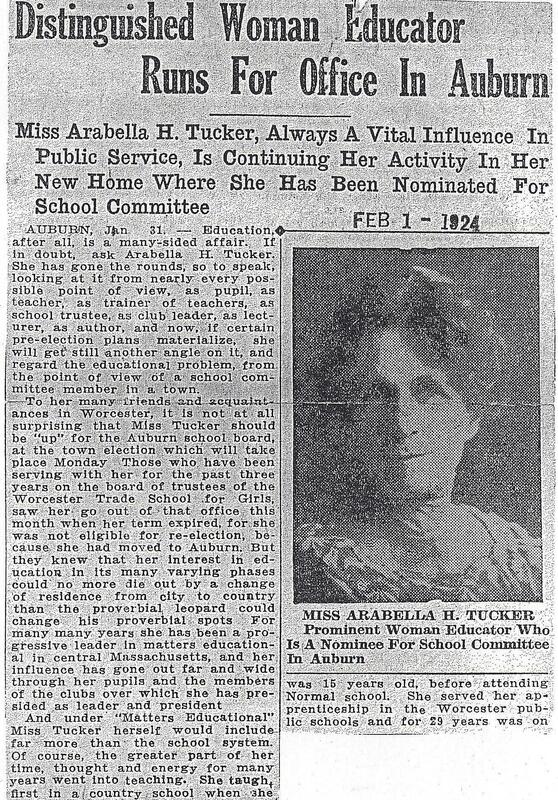 A prominent educator, writer, botanist, club woman and suffragist, Tucker led by example and helped organize Worcester County women to make America better place. 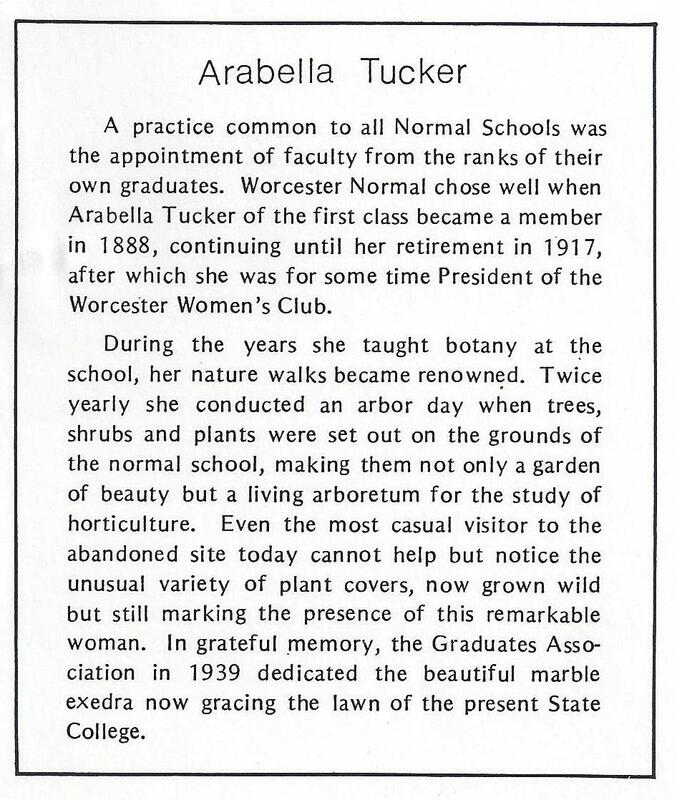 Arabella Tucker, secretary of the alumnae association, compiled The Record of Gradates of the Worcester State Normal School, 1904. At fifteen, Bell Tucker began teaching in rural schools near her home in North Brookfield, MA, like reformer Lucy Stone did. Arabella’s life choices show that she agreed with many of Lucy’s ideas and was inspired to seek further education at the new Worcester State Normal School in Worcester, MA to graduate in the first class. 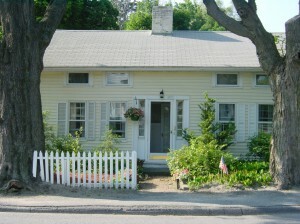 She returned to teach in North Brookfield, but after passing the Boston examination for teaches in 1878 started her first Worcester teaching position at the Thomas Street School. 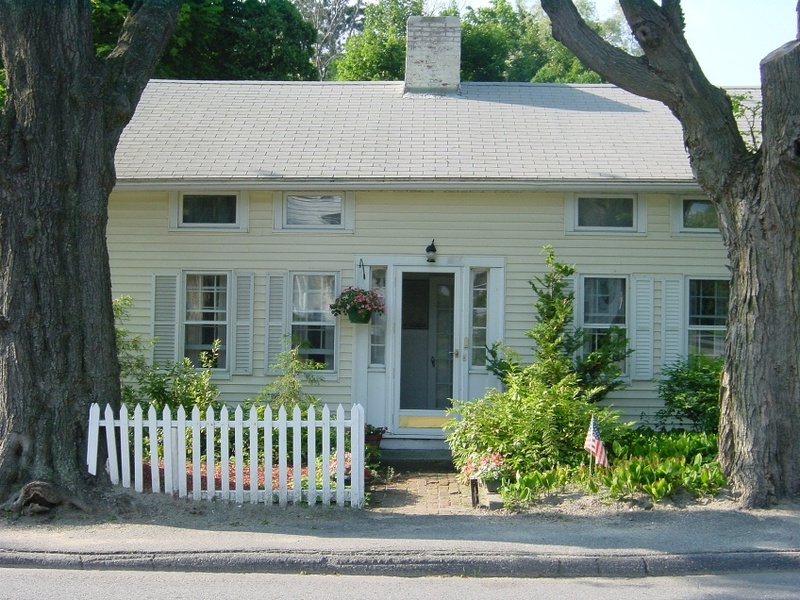 She lived nearby the school at 21 Prospect and continued to reside on Prospect (#61 and 63) until 1890 when she moved to Pleasant Street (#322, 306 and 554, the last was owned by her brother-in-law William Munger) until she moved to Auburn. She studied further at Amherst, Cornell University and in the summer of 1888 attended Harvard Summer School. That fall she joined the faculty of Worcester State normal to teach botany, history of education, gymnastics and other courses over the next 27 years. 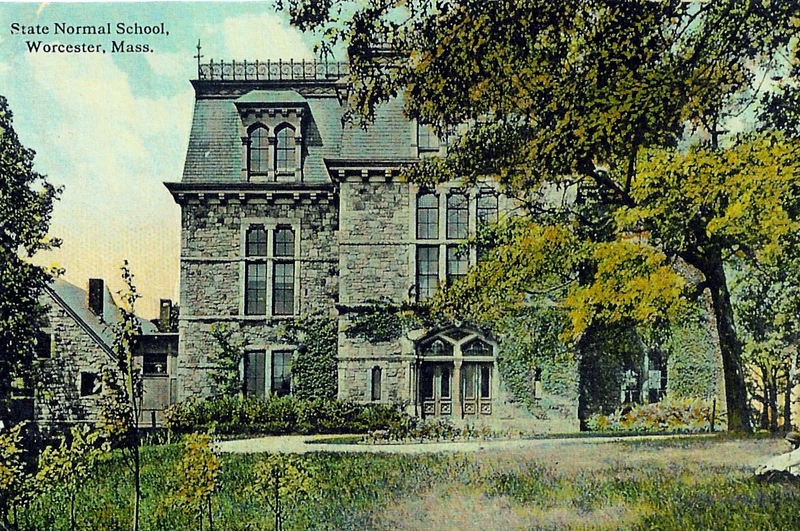 1908 or 1914 postcard Worcester State Normal, Courtesy of Barbara Fletcher. Worcester State Normal School insert at Worcester Public Library. Trees of Worcester by Arabella H. Tucker, Putnam, Davis, 1894. Arabella belonged to the Natural History Society and Worcester County Horticultural Society. To know in a vague way only that trees are for a long time bare and leafless and then somehow become clothed with leaves,…yet to be entirely unaware of their gradual transition state and individual characteristics, is to miss a good deal of beauty, as well as of interest, out of our lives. Tucker Biography by Delta Kappa Gamma-Delta, 1952. Arabella’s colleague, Juliet Porter, took the photographs for the book during her last year on the faculty, having started her tenure during Arabella’s last year of training. Juliet, a graduate of Framingham State Normal School, taught mathematics, geography and physiology. 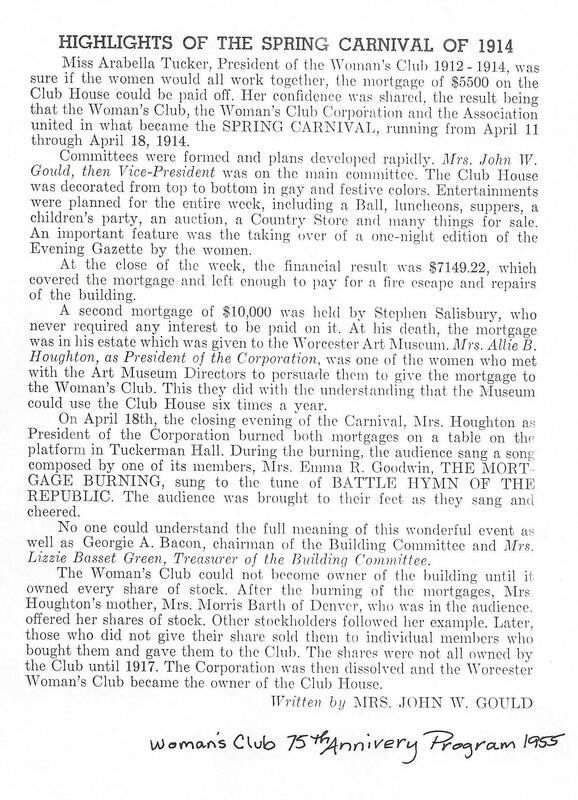 Juliet was “listened to with much interest” when she spoke to the Soangetaha Club on “The Working Girl of the 19th Century” on 18 May 1912. This club met regularly at the Auburn Library in the new Merriam building to share papers on different subjects beginning in 1910 where about 25 women participated. In October 1915 Arabella was invited to lecture at a joint meeting with the Enterprise League on “Autumn Color”. Many in the audience would help Arabella establish the Woman’s Club nine years later to continue the same intellectual and community spirit. Abby B. Shute. Merriam library Record Book. August 1911. Auburn Public Library. 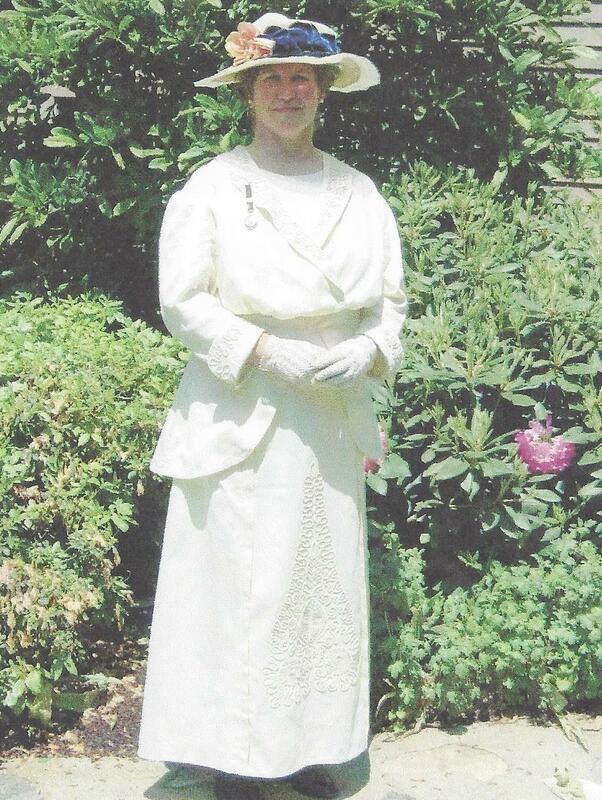 Arabella was a devoted suffragist and member of the Worcester Equal Franchise Club. On 8 September 1916 she joined the executive board and when she retired in 1917, she became secretary of the Equal Franchise Club of Worcester [Undated list in Worcester Public Library Collection WOR.RM q367 W72351 cl may have been compiled by Arabella based on 17 January 1917 WEFC minutes stating, “Miss Tucker prepared a list of members” when she was treasurer on page 49.] and the first woman to register to vote in Auburn, Massachusetts. See Blackwell, Alice Stone. The Woman Citizen, Vol. 4. Leslie Woman Suffrage Commission, 1919 for more information. 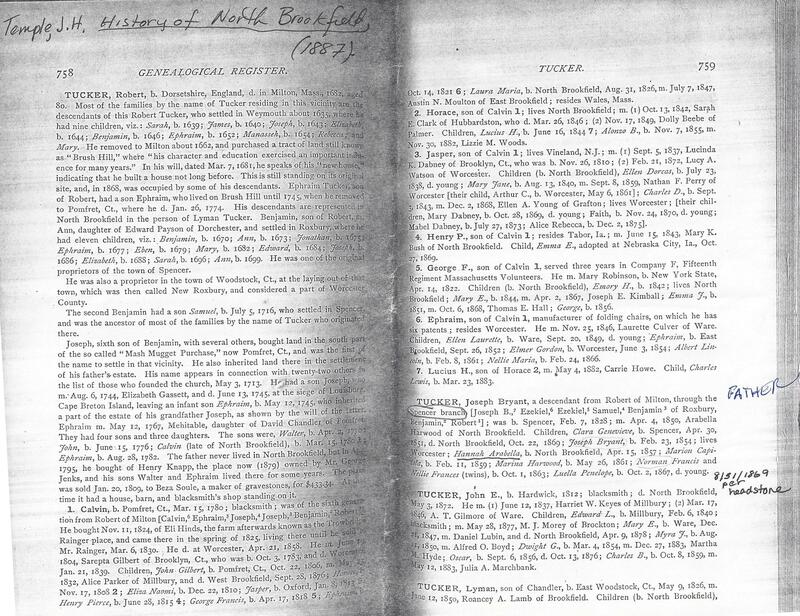 Who were the thirty-two Auburn women re-petitioned the Massachusetts Great and General Court for woman suffrage in 1876? There had been an active petition campaign for many years –for it was the only voice women had in our democracy. Richard J. Chaisson. “Women’s Suffrage Sprouted from Local Roots”. Sunday Telegram. 26 August 1990 (A1). Did Arabella help send Mrs. Chase, Mrs. Bertha B. (Robert K.) Shaw and Miss Louise Hamiton Murdock from the Worcester Equal Franchise Club to Auburn on 10 June 1915? The Anti-Suffrage forces had given a lecture at the library on 29 April 1915. Mrs. Augustin H. of Dover, MA spoke on “Woman’s non-partisan power without the vote”. The state organizer for the anti association, Miss Dorothy Godfrey of Boston, enrolled about twenty women in the organization. Previous to this meeting Mrs. Robert K. Shaw of Worcester spoke at the parsonage with Mrs. Chase on suffrage. Abby B. Shute. Merriam Library Record Book. August 1911. Auburn Public Library. 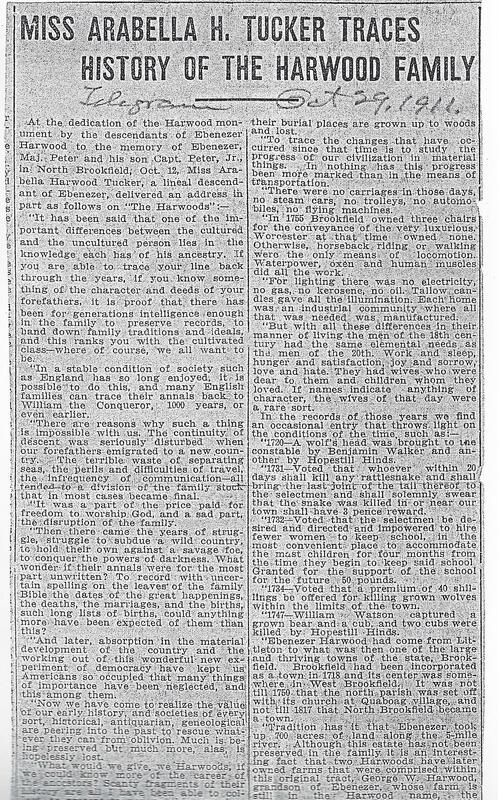 Tucker, Arabella H. “Antis’ Argument Causes a Laugh” article probably in Worcester Telegram in undated clipping found in Worcester Historical Museum League of Women Voters File. The Levana Club president 1906-7; International Chamber of Commerce president. Charles Nutt. History of Worcester and its people (Volume 2). ebook page 43. Woman’s Club 75th Anniversary Program, 1955. Courtesy of Worcester Public Library. 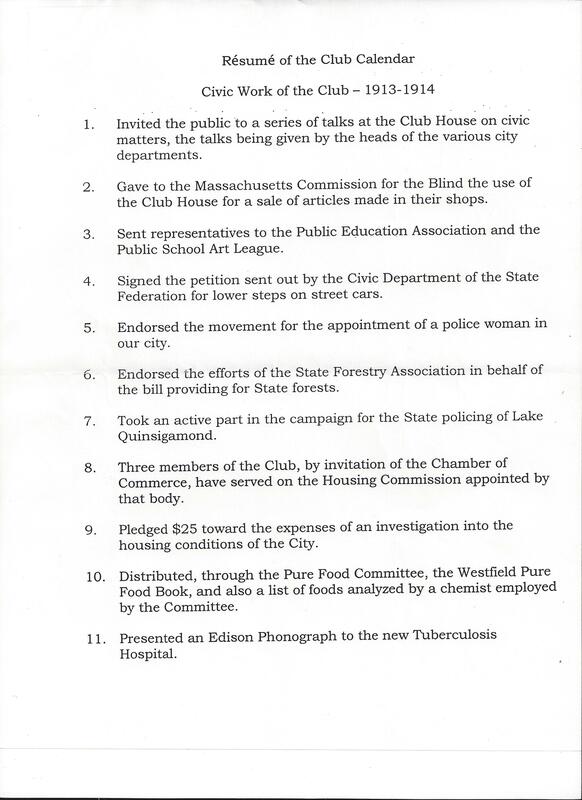 The Worcester Woman’s Club movement sprouted as a result of a two day observance of the 30th anniversary of the first National Woman’s Rights Convention held in that city in October 1850. The organizers included relatives of the early convention members. In fact, the club’s first secretary was Alla W. Foster, daughter of radical abolitionist, Abby Kelley Foster and Stephen S. Foster. 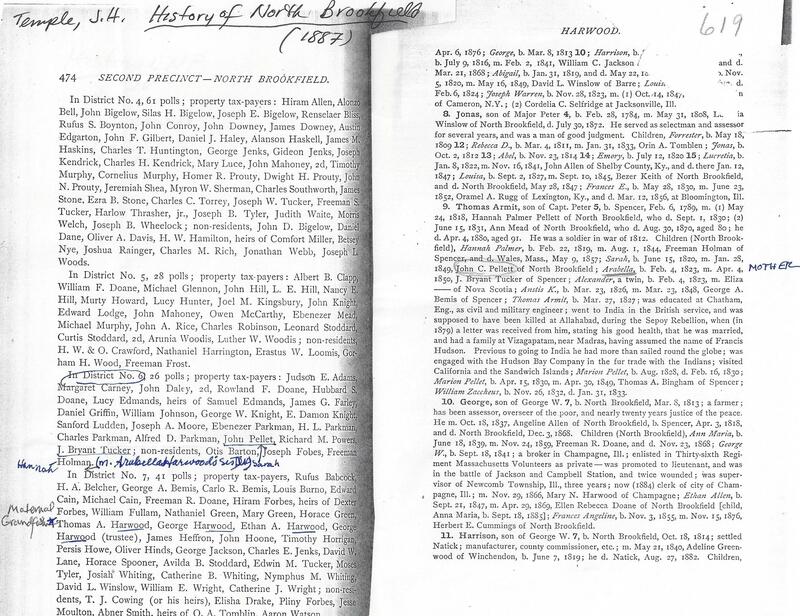 The twenty-two charter members were a cross section of Worcester’s middle-class women including several teachers, two female physicians, and wives of industrialist, business and professional men. Ruth H. Frost. “They Founded Woman’s Club 75 Years Ago”. 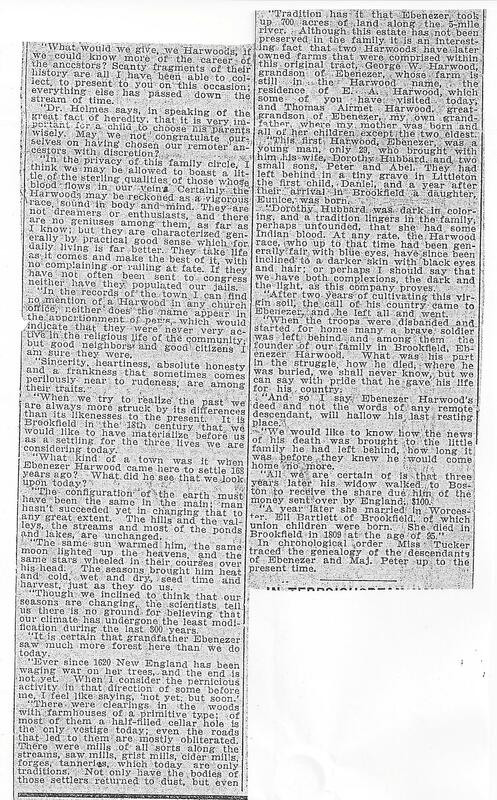 Sunday Telegram, 13 March 1955. Worcester Public Library. State wide, Julia Ward Howe (1819-1910; with six children by 1859) a writer and abolitionist before the Civil War (of “Battle Hymn of the Republic” fame), found her niche in the burgeoning postwar woman’s movement. She founded the New England Women’s Club in 1868; the Massachusetts Woman Suffrage Association in 1870; and with Lucy Stone helped found the New England Woman’s Suffrage Association. When a schism occurred over universal or black suffrage between Elizabeth Cady Stanton and Lucy Stone factions, Howe helped Lucy organize the American Woman’s Suffrage Association. Twenty-three years later the General Federation of Woman’s Clubs was founded under Howe’s leadership her theme was “To Learn, To Teach, To Serve, and To Enjoy” which continues to be their goal. 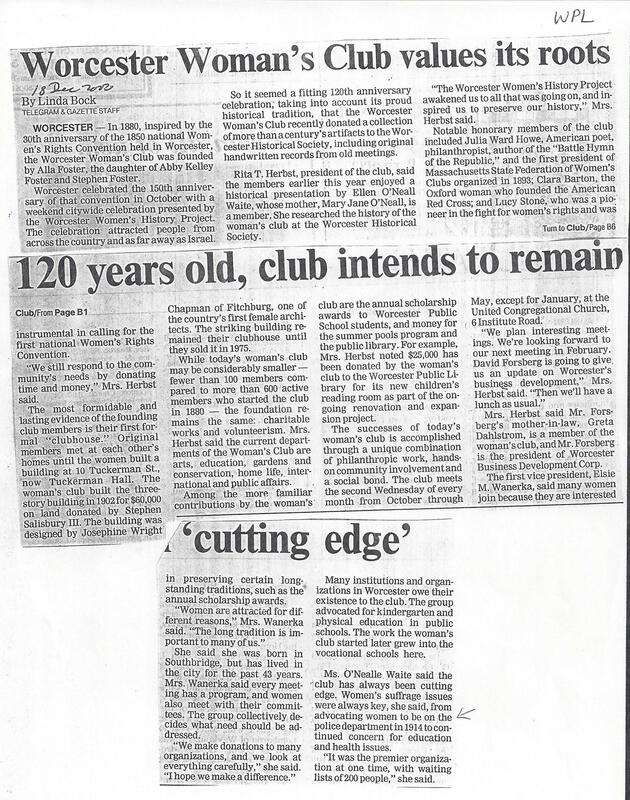 The Worcester Club needed a clubhouse. Tuckerman Hall, Worcester, MA was designed by one of the county’s earliest women architects, Josephine Wright Chapman. It was completed in 1902 on land donated by Stephen Salisbury. As the 17th president from 1912-1914 Arabella’s goal was to pay off the debt by showing the community the intellectual qualities and executive abilities of the club women. Albert B. Southwick. Once-Told tales of Worcester County, Worcester, MA. Databooks, 1994. “In a week-long Carnival, the Club raised enough money to pay off the final $7150 on the original mortgage of $30,000. 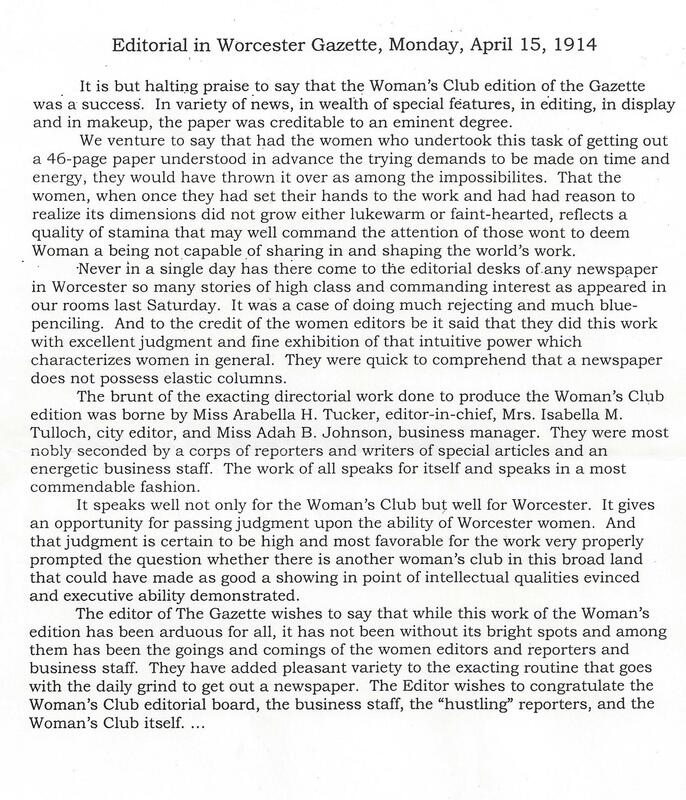 One money-raising project of the week was to publish a “Worcester Woman’s Club Edition” of The Evening Gazette, through the generosity of George A. Bacon…” Woman’s Club 75th Anniversary Program, 1955. Bock, Linda. “Worcester Woman’s Club values it roots”. Telegram & Gazette. 18 Dec 2000. 1914 April 11 “Woman’s Club Edition”, The Evening Gazette, Worcester, MA. 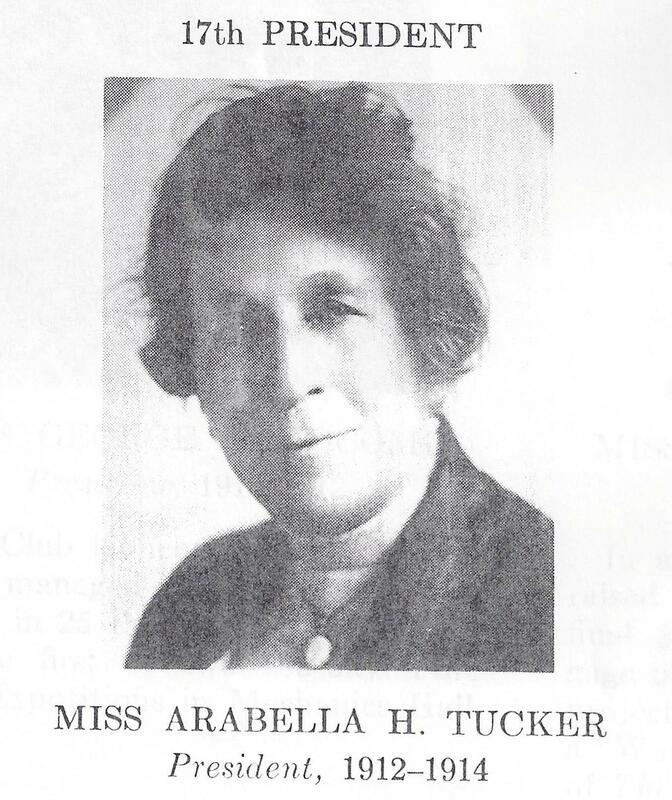 When Arabella retired, she moved to Auburn, MA in 1923 to play an important role in organizing the Auburn Woman’s Club in 1924 and become its first president. Anna Howe Stead. 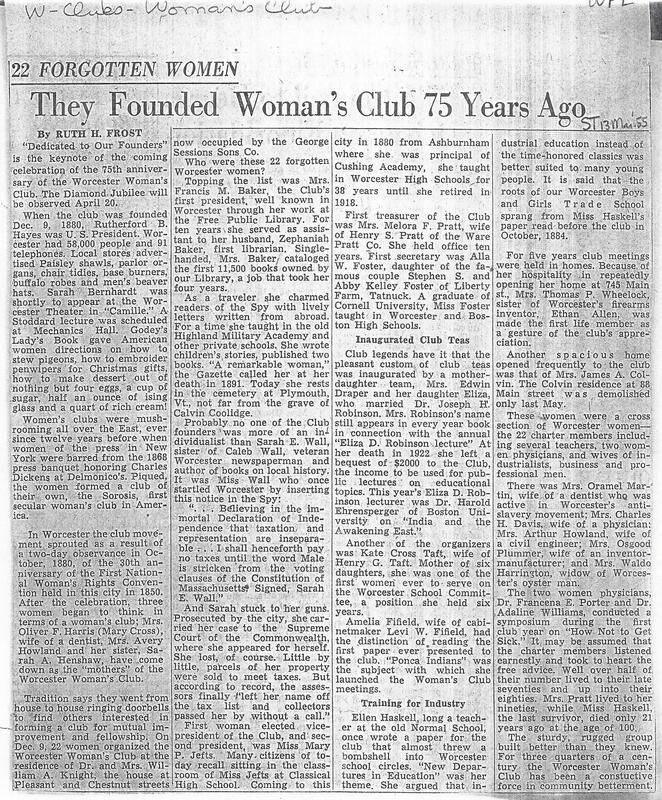 “The Auburn Woman’s Club at 75”. Auburn News. 19 May 1999. In 2005 Norma Card remembers Arabella waiting on the Auburn Common for the school children every report card day. Anyone not performing up to her satisfaction was invited over to her housed for help even after her active teaching years. Beginning in 1874 school committees were the political venue where women could hold office; of course they could not vote for school committee members until 1881. 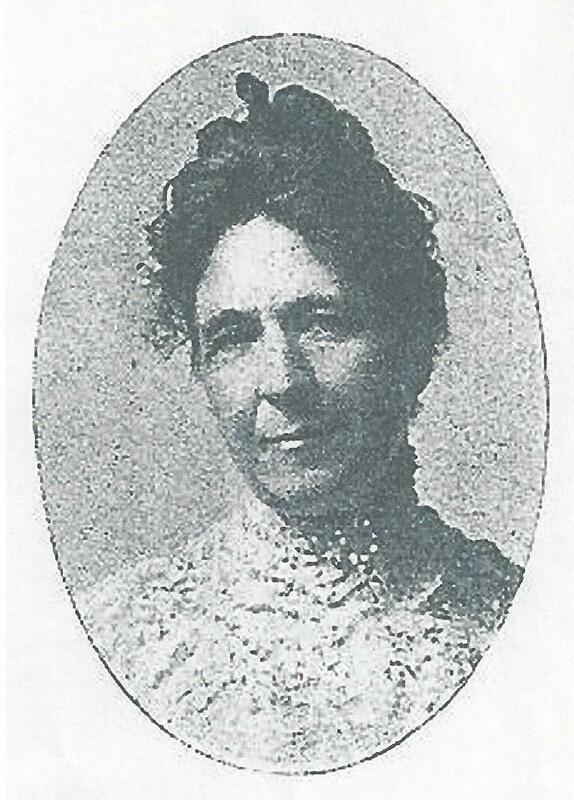 The first female elected to the Auburn school committee was Mrs. Mary J. Rich (d. 1904) from 1874-1877. She was followed by Alice Maria[h] Green Daniels (b. 1824), Louise M Flint, Mrs. J[oseph] P[ierce] Easton, Mrs. Mary D. Shute Stone (1853-1928) and Mrs. Julia F. Knowles Bancroft (1847-1920). An interesting side note about Alice Daniels is that she lived with her sister Hannah (b. 1827) who had graduated from Mt. Holyoke in 1846 nine years after this first college for women was founded by Mary Lyon. Hannah Green became Auburn’s first librarian from 1875-1881. Her father, Dr. Daniel Green who served as community doctor for over forty years, was an abolitionist and temperance advocate. John Hartwell. “A View from the Hill”. Auburn News. 17 March 1999. Arabella served on the school committee for nine years. In 1924 Mrs. Sara Foster was elected Overseer of the Poor and Mrs. Bertha Spaulding was elected as Library Trustee. As early as 1884 Mrs. Annie M Howe became Auburn’s first female postmistress after the death of her husband Alvin. In 1912 Miss Ruth M. Grosvenor continued in that role ever after her marriage to Rosewell Davis. the acting postmistress in 1926 was Pearl M. Lovejoy. [It was not until 1976 when Doris Hill became the first female town clerk and 1973 when Marjorie O’Neil became the first female selectwoman followed by Joan Cassidy who served four terms from 1982-1994. By the turn of the 21st century Darleen F. Wood was elected to another traditional non-female role when she became the second female highway surveyor in the state in 1999. As few years later Beth Prouty became Chairwoman of the Board of Selectmen. F.W. 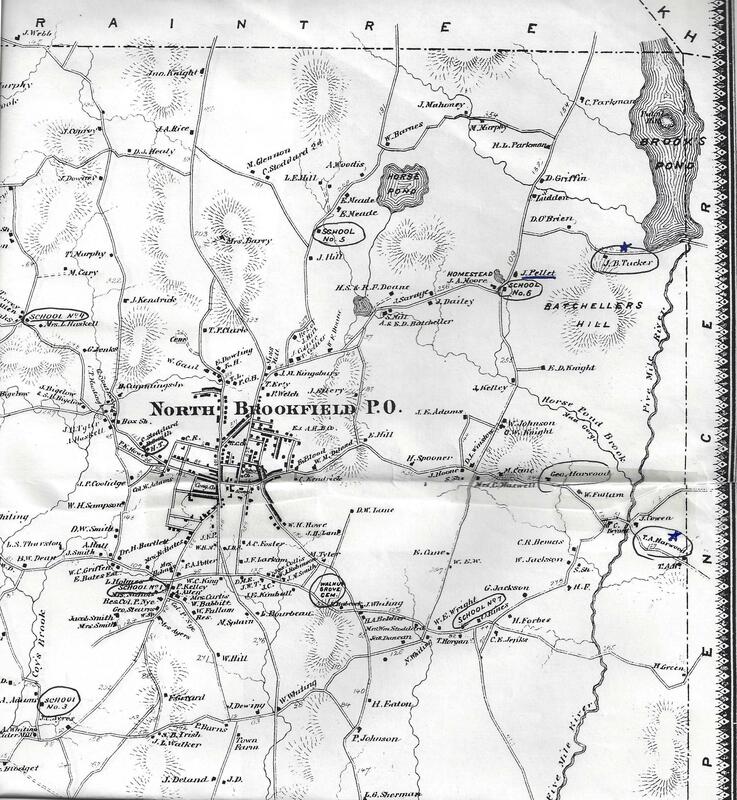 Beers’ Atlas of Worcester County, Mass. Rutland, VT: Charles Tuttle Publishers, 1971 (Reproduction of 1870 originals), page 54-55. 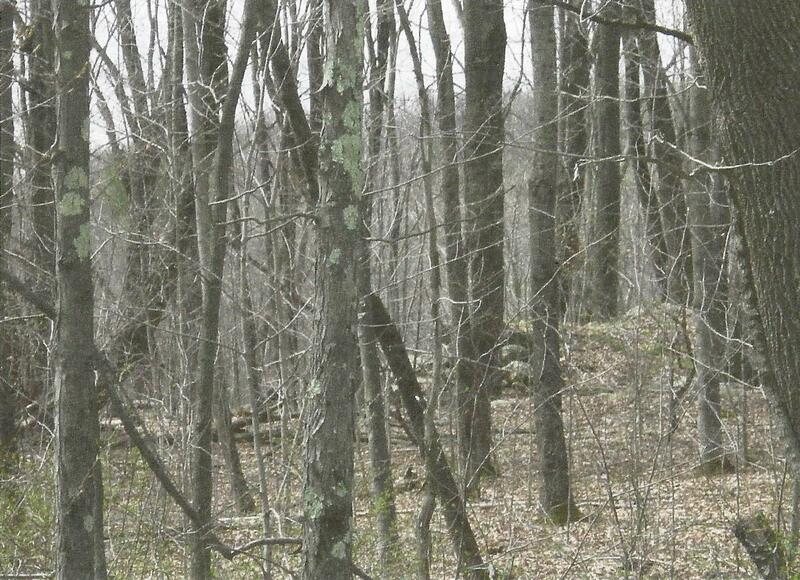 Possible foundations of J. B. Tucker’s place on Brook’s Pond Road, North Brookfield, MA (May 2005). 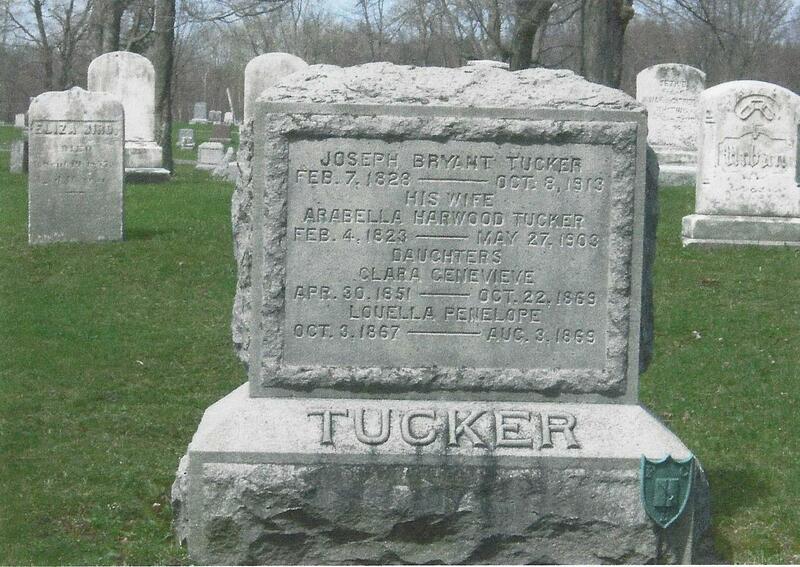 Tucker Headstone in Walnut Grove Cemetery across from cemetery workshop, North Brookfield, MA (May 2005). Back side of Tucker headstone. Nellie [Frances]Tucker Munger 1864-1938 was Norman’s twin who lived with Arabella after the death of her husband William D. Munger 1860-1929. 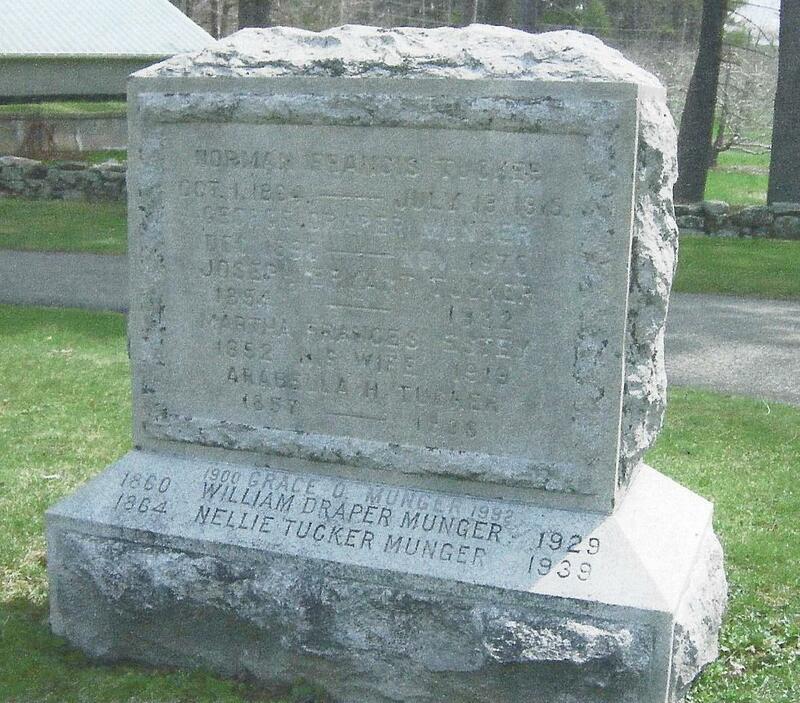 Their children were George Draper Munger 12/1890-11/1970 and Grace O. Munger 1900-1992. A Florence Munger gave a trust fund to the Auburn Library. Arabella H. Tucker Obituary. “Educator Dies in Auburn Home”. Worcester Telegram. 13 June 1936 (1). Worcester Historical Museum clipping. “Honor Memory of Miss Tucker”. Worcester Telegram. 22 October 1939. Worcester Historical Museum File.